Located in Vilnius, the Capital of Lithuania, the Yellow brick house is a fine example of the architectural marriage between old and new. Originally part of a cannon foundry, the historic brick core of the Yellow Brick House dates back as far as the 17th century. After purchasing the land the building is situated on the current owners decided to case the historic brick building with large glass window panels. 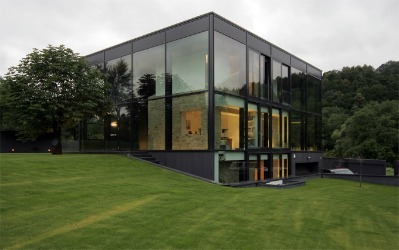 In doing this they created a truly modern glass home but still retained the period charms of a building that had existed on the site for over three hundred years. 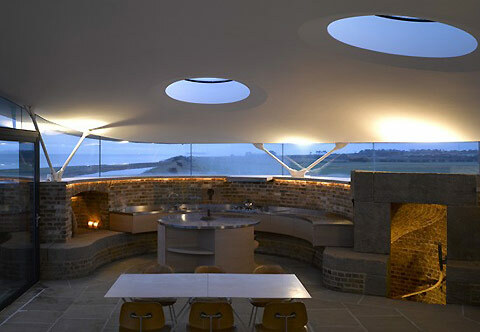 Back in the UK another great example of an old building being up-scaled and improved with modern building materials like glass is the Martello Tower Y. Situated in Suffolk it was erected in 1808 to protect the East coast of England from potential invasion. Last inhabited in the late 19th century, the historic defensive tower was recently restored to former glories without damaging any of the remarkable interior features like the curved brick centre column. Glass was also used generously on the project and played a key role in ensuring that daylight reaches the modern living quarters situated on top of the tower. Innovative glass products from the Pilkington product ranges are often used for restoration projects similar to those mentioned above. 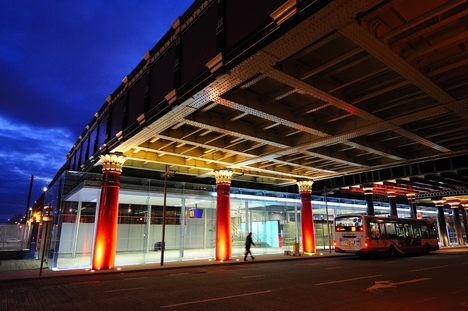 A few years ago Pilkington Planar™ glazing was employed to create the brand new entrance for Salford Central Railway Station, situated in the City of Salford, Greater Manchester. Pilkington Planar™ was used to complement the existing structure that was built in 1838 and the large, unobstructed expanses of glass and seamless joints between adjacent panels of Pilkington Planar™ allowed for minimal structural interference. This design flexibility transformed the old dark station into a modern, light, relaxing space and revealed how glass can improve an older building without damaging its historical features.